Respect for both patients and healthcare team members enhances the quality of care. Colleges expect a high standard of conduct from physicians which extends beyond the clinical setting. The special relationship of trust between physicians and their patients, known as a fiduciary relationship, requires that physicians always act in their patients' best interests. Patient-doctor relationships carry an inherent power imbalance which may place patients in a position of vulnerability. Physicians are responsible for behaving professionally and maintaining appropriate boundaries with patients at all times. As a practising physician in Canada, your patients may be from cultures different from your own, and you need to recognize and respect cultural differences. Cultural differences may also influence how professional boundaries are perceived, and being aware of this may help prevent misunderstandings. Achieving the ability to accept others' points of view and to adapt your attitude without judgment requires continual conscious effort. A patient's lack of adherence to treatment plans may have roots in cultural diversity. A physician cannot refuse to assess someone on the basis of a conscientious objection. When physicians treat people equally they ignore differences. 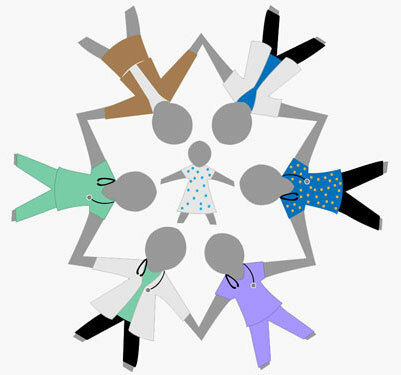 When physicians treat people equitably, they recognize and respect differences. Physicians are not obligated to provide absolute accommodation in all situations, but rather to reasonably accommodate cultural diversity. Treat every patient encounter as potentially cross-cultural. Ask patients to explain how their values, beliefs or religious or spiritual practices influence their preferences for the proposed medical treatment. Fully disclose information in a truthful manner, being diligent yet respectful of cultural diversity. Do not select or exclude patients for reasons other than your clinical competence or expertise. Do not avoid dealing with a healthcare issue because of your own cultural beliefs.